Dear mom and dad, does the word EDUCATION sound very intimidating? Don’t let it be. After all, you are your children’s first teachers. Everything they learn in life comes first from their experiences at home and with you. What they can gather in a child care in Bronx, New York comes only secondary to their lifelong learning with you. Your child can capture the love of learning when you inculcate it to them early on. This is possible when you make reading enjoyable and fun for them. Achieve this by reading to them regularly. Better yet, include reading routines in your daily activities, such as right before going to bed. In addition to that, make books easily accessible to them in the house. This familiarity helps them to get used to accessing reading materials anytime. You can also teach counting to your child as early as toddler age. Make it a habit to count anything as much as possible, such as when they’re taking a bath and you’re counting their fingers. You can also do the traditional lessons by watching an educational show together and assist them in pronouncing numbers. Children who are able to follow instructions are definitely a parent’s treat! Gladly, you can already hone them for this. At home, discipline them about following instructions starting with simple ones. Just make sure that these are age-appropriate instructions so you don’t frustrate yourself and your little one for too many expectations. Preschoolers getting along with other children their age is a wonderful experience. This is what we always aim for in our day care center in New York. Even at home, you can inspire your children to be really friendly by asking some tots to play with them at home, or letting them talk about their classmates. Parents can truly nurture good manners in their little ones. 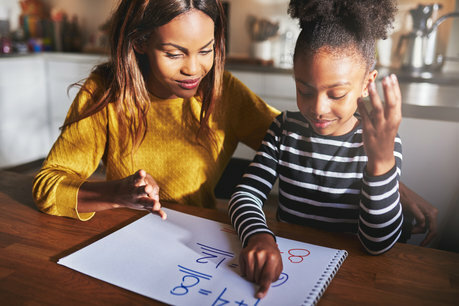 Aside from setting examples at home, they can also repeatedly teach them about what to say in specific situations and how to respond politely in a given circumstance. With the right steering, your child will surely get the hang of it and you’ll be one proud parent in the end. Getting the best of your child’s potentials is also what we help you with at Tender Years Childcare. We understand that being parents, you must have your own reservations about what formal education is right to teach your little one with. This is how we can help. As you nurture your child at home, we supplement these learnings in our preschool programs so you will have a productive little achiever. SHARE this with a fellow parent for inspiration! This entry was posted in Preschool and tagged Child Care, Child Development, Child Education. Bookmark the permalink.